Daniella and Gabriel Benitez aren’t contractors, but they have built four houses to date and plan to construct two more a year for the rest of their lives. This isn’t amazing until you find out that Gabriel is only 12 and Daniella is 14. 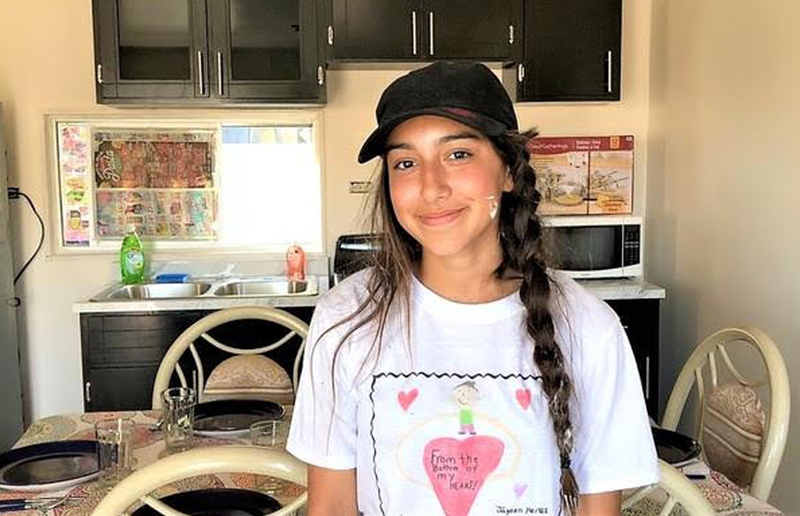 She started the family building spree at age 13 after visiting Tijuana with Notre Dame Academy to help build a simple house for a needy family under the supervision of Build A Miracle (BAM), a San Diego-based nonprofit with a Habitat for Humanity approach. When she saw how great the need was and how such a small investment could do so much for a family in crisis, Daniella was inspired to do what she could to raise the $13,000 needed to construct a home for another family, plus the $3,000 needed to furnish it. BAM — started by a Scripps Ranch couple, Chris and Julianne North — oversaw the project. BAM interviews prospective Mexican families who must hold title to the land, keep their kids in school and perform at least 500 hours of community service. The Norths take no salaries but hire professionals to do high quality construction, plumbing and electrical work. Since 1999, Chris says BAM has built 340 houses and overseen repairs on many others, plus paid for 44 kids to go to college and for 60 to attend high school. It built a large community center with a computer lab, parenting classes, language tutoring, cosmetology and hair styling instruction, family counseling, a soccer field and much more. “Our goal is to break the cycle of poverty … one family at a time,” Chris says. Daniella and her family helped lay the house foundation on her first house then returned a month later to paint it, inside and out, arrange the furnishings and get the family settled in. So inspiring was this effort that Daniella vowed to do it again. Her enthusiasm was catching. Her little brother, who had helped, started his own house fundraising campaign. Last month, the Benitez family finished its second and third houses. Oops, four houses. A family friend, who requested anonymity, said if the kids raised enough money for two houses, he would fund a third — and he did. “It’s amazing how such a small thing on our end can change so much of someone else’s life,” Gabriel says. He added that it transformed his own life as well. The Benitez siblings are well on their way to having enough money to build houses No. 5 and No. 6 this fall. Daniella, now a freshman at Cathedral Catholic High School, started a Build A Miracle Club there, and students are helping her raise the necessary funds. Gabriel has secured pledges for all but $1,000 needed for his second house, reports his mom, GG Benitez. That anonymous donor? He also has agreed to give another $16,000 for house No.7 in their name. Pretty soon, they will have built a village.